With the new MG3 you’ll be guaranteed to receive incredible value for money as not only is it one of the most affordable hatchbacks, but is also available with four years 0% APR finance on Excite and Exclusive. There’s never been an easier way to get behind the wheel of a fabulous new MG! 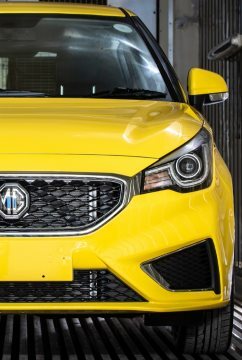 Terms & Conditions 0% APR offer only available on New MG3 Excite and Exclusive 1.5 DOHC VTI-tech versions until 31st March 2019. Offer subject to availability on selected models at participating dealers only. Conditional Sale. Finance by MG Financial Services, CF15 7YT. Subject to status, availability and terms and conditions. Applicants must be 18 or over. Prices are correct at time of being published and are subject to change without notice.